Fossil, a US-based accessory manufacturer, has launched the new smart watch model with Snapdragon 3100 chipset. One of the popular watch brands, Fossil , announced the launch of the new smart watch model that the users are looking forward to . Fitness focused on this smart watch model called Fossil Sport . 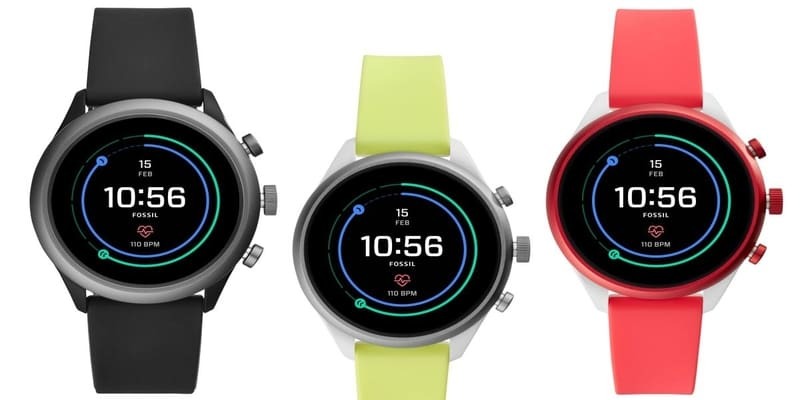 Fossil Sport runs the latest version of Wear OS with a renewed fitness and navigation user interface . The device has Qualcomm's latest Snapdragon Wear 3100 chipset and has a battery capacity of 350 mAh . 28 different offering Fossil Sport colors, 41 mm and 43 mm will be available in two different sizes including. Google Fit application, mobile payment for NFC feature, an internal heart rate monitor, GPS , ambient light sensor, microphone and speaker that offers the price tag of the smart watch is $ 255 said. Fossil Sport will be available from Fossil stores worldwide since November 12th .